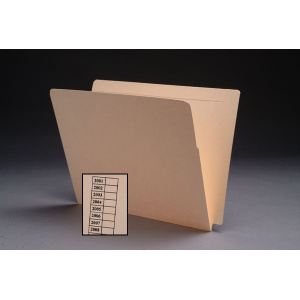 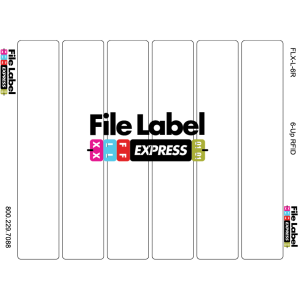 Classification File Folders Full Cut End Tab 1 Divider Poly Pocket are designed to subdivide the materials within one folder. 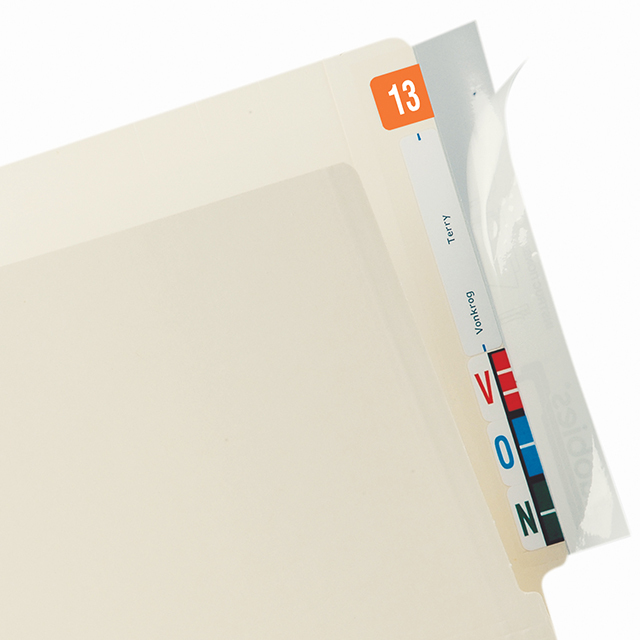 This folder is designed for heavy use. 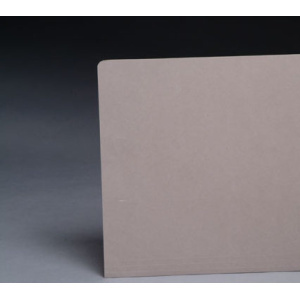 Constructed out of 14pt manila, the back panel is reinforced on the end tab, and top tab for added strength. 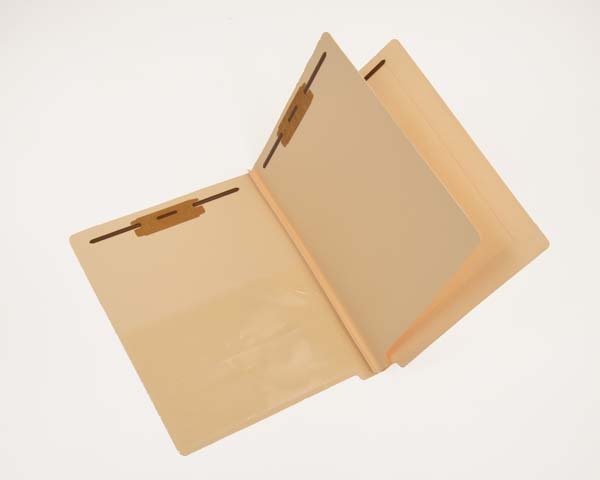 The dividers are made from two laminated 14pt manila panels for double the thickness. 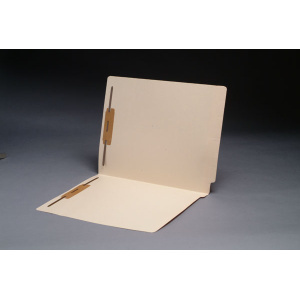 The folder comes with 2” bonded fasteners in position 1&3 and 2” duo fasteners on the dividers.